Most people in the United States long for a $150,000-per-year salary. This makes sense, as the nation's median personal income is roughly 80 percent below that mark. It's a lot of money. In fact, this income level qualifies for the top 4 percent of Americans and the top 0.1 percent of the world's population; it is 109 times the global average. If this is true, how could an unemployed homeless person possibly make more money? Well, the federal, state and local governments: that's how! Let's take a look at the numbers. 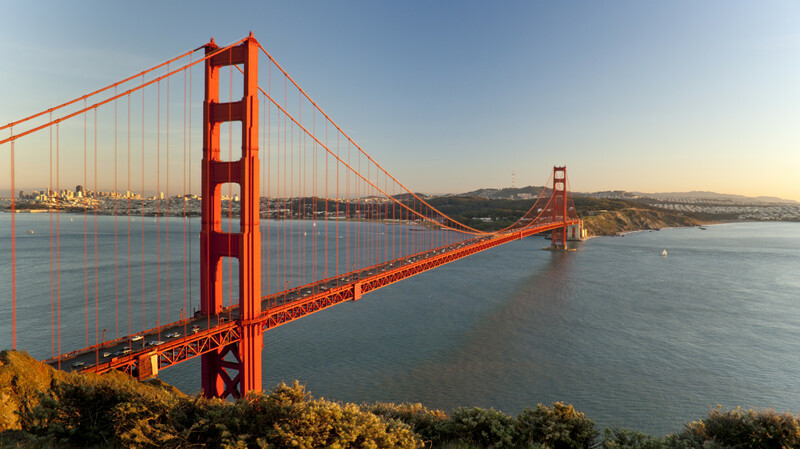 A single Bay-Area Californian earning $150,000 per year pays an effective income tax rate of 32.23 percent: this figure is inclusive of a 7.20-percent effective state income tax (and 9.30-percent marginal rate), an 18.27-percent effective federal income tax (and 24.00-percent marginal rate), and a 6.76-percent effective rate for Federal Insurance Contributions Act (FICA) taxes. In addition to income taxes, the homeowner incurs an annual mortgage cost amounting to roughly $48,000, along with annual property taxes in the neighborhood of $8,000. Accounting for these costs, even excluding the 10-percent sales tax, that worker is left with $45,661. After accounting for $3,600 from annual utilities expenses, $5,300 for annual health insurance costs, the worker is left with $36,761 before groceries, transportation, auto insurance, maintenance and repair costs. After accounting for these factors and the 10-percent sales tax, the worker is left with roughly $1,000 per month for entertainment, discretionary expenses, savings and investment. Meanwhile, the indigent qualifies for subsidized transportation assistance, subsidized healthcare, subsidized housing and Supplemental Security Income, netting the unemployed indigent more than $1,000 of unearned income each month — in addition to a cash value greater than $3,000 for monthly healthcare and housing — to spend however he likes. Remain always wary of the bureaucrats' crafty attempts at substituting the word 'free' for 'subsidized.' It's everywhere an insidious means to conning the public into funding projects that would otherwise fail to interest them if they only knew how they were paying for them. Of course, all of this is available in addition to CalFresh, formerly known as Food Stamps, and Temporary Assistance for Needy Families (TANF), which covers the costs of food, rent, clothing, and other basic living expenses. Indeed, it is potentially far more lucrative to bilk the system as a family than as an individual. The indigent enjoys every bit of this without incurring any of the costs, responsibilities or burdens of employment, and his benefit is derived exclusively at the expense of taxpayers who fail to gain anything from the unaccountable investment, which produces nothing in return and merely bids up the prices of scare goods and services that the financiers — the taxpayers — intend to buy or rent. So, not only does the redistribution ensure that the indigent will make a living out of non-work, and not only does it prove a wasteful investment for the taxpayer, but the taxpayer pays doubly when he’s faced with those higher prices bid up by the indigent he was forced to support. As it turns out, being homeless in California is more lucrative than a $150,000-per-year job, and the professional is being dragged through the mud, fleeced and enslaved as political correctness prevents him from denouncing the fraud. The Kaeparnick craze and other viral movements haven't merely pressured people into becoming simpler caricatures of their prior selves, but they have manifestly exposed people for how foolish and uninformed they've been all along. In his final year in the NFL, Kaepernick ranked 17th in passer rating and 34th the year before that. He played through an entire season in only two of his six years in the league, and his best full-season performance ranks far outside of the NFL's top-250 single-season passing performances in the league's history. For reference, the oft-criticized Tony Romo posted a career passer rating of 97.1, as compared to Kaepernick's 88.9. Romo's passer rating dipped below 90 for only one season of the eleven seasons he played, whereas Kaepernick failed to eclipse the 90 mark on three of his six seasons, a full 50 percent of his time in the NFL. A great confusion has arisen out of the clamor of political debate, one which presupposes that any dismissal of the merits of “institutional racism” somehow equates to one’s rejection of personal struggle. Whereas the struggle of any individual remains always and everywhere unique and wholly personal, his common bond of complexion with others who have struggled serves inadequately as the basis for any argument which regards this commonality as the cause, or as the reason, for that veritable struggle. To condemn the unidentifiable and nebulous abstraction, then, by castigating an unnamed institution which persists beyond our specific capacity to recognize its power, serves only to absolve individuals of their personal responsibility, to shift blame and culpability to a specter which exists only by the creative designs of our imaginations, which exists as the scapegoat for all outcomes popularly maligned as undesirable. The institution of money entered the minds of sophisticated traders several millennia ago, when instead of bartering with limited numbers of people within the cumbersome double coincidence of wants, large-scale economies developed from the reach and transparency of commodity money which was scarce, durable, fungible, transportable, divisible, recognizable, and usable in and of itself. While we may appear to have transcended those primitive times and those so-called barbarous relics, the truth is that we have merely mutilated the concept of money by clandestinely replacing it with its more manipulable and abstract representative, the proverbial coat check without the coat. This is but the device of a large-scale social experiment run in real time, and we are its unwitting and unconsenting subjects who’ve largely never heard of the Federal Reserve’s dual mandate, much less its missions of “maximum employment” and 2-percent annual inflation. Yet there is hope after all. Who’s to Blame for Poverty?